It’s your turn now – Dunnigan, Yolo, and Zamora! 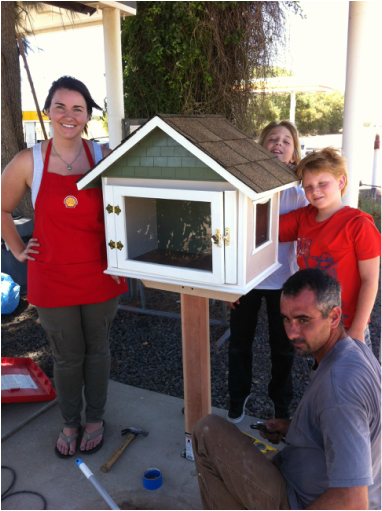 Little FREE Lending Libraries are now available in your community. Next time you are in your community’s location, drop by and take a “free” book, read it, keep it, or return it for another one. Tell all your friends and neighbors about it and share the fun of reading and learning in your own community area. 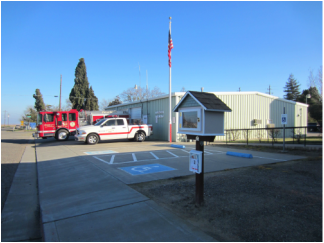 These new libraries were made possible by the Friends of the Davis Public Library in collaboration with the Friends of the Yolo Branch of Yolo and the Yolo County Library, just for your use and enjoyment. They were constructed and installed by Northern CA Construction Training. Debbie Bruno from Bella Vie Real Estate of Woodland donated the information boxes attached to each little library. The Friends of the Yolo County Library of Yolo County are in the process of raising funds to build a new library building in the city of Yolo, and are encouraging all residents of the areas to come see our old building (at 37750 Sacramento street in Yolo) and its needs, and be a part of the new building process. So take your family, next time you are in the area, and get a book and READ AS A FAMILY --- you and your kids will be glad you did!